die Vereinten Nationen haben 2015 zum Internationalen Jahr des Bodens erklärt. Wer über Böden spricht, spricht auch über Wasser, Energie, Ernährung, biologische Vielfalt und Ökosysteme mit ihren Leistungen. Der weltweite Druck auf die Landnutzung ist hoch, das Problem der Flächenkonkurrenz wird uns noch lange beschäftigen: Wer nutzt welche Fläche wofür und wie beeinflusst das die Qualität des Bodens? Der Boden selbst ist ein vielfältiger Lebensraum mit einer ganz besonderen Biodiversität - und Natur braucht Raum. Für die sogenannte Bioökonomie ist der Boden eine Schlüsselressource schlechthin. Mit Spannung sehen wir unserem zweiten "Kaminabend" am 29. Januar 2015 in Berlin im Rahmen des "Diskussionsforums Ökosystemleistungen" entgegen, zu dessen Veranstaltern 'Biodiversity in Good Company' gehört. "Bioökonomie" ist das Thema des Abends. Unten erfahren Sie mehr darüber. Unser Vorstandsmitglied Dr. Stefanie Eichiner aus dem Forst- und Papierunternehmen UPM diskutiert auf dem Panel mit. Auch eines unserer Mitgliedsunternehmen aus Japan, SARAYA, befasst sich intensiv mit Fragen der Landnutzung, denn es verwendet einen kritischen Rohstoff: Palmöl und Palmkernöl. Das Unternehmen engagiert sich unter anderem für das Rüsseltier "Elephas maximus borneensis" – kennen Sie das? In diesem Newsletter stellen wir Ihnen SARAYA vor. Weitere Informationen hält wie immer der Infoticker für Sie bereit. "In a sense, the world is becoming smaller and more fragile, giving cause to act and find a better way to share the limited amount of resources on earth. The earth is not only for humans but is shared with all other living things; we are all connected and supported in a symbiotic way. Now we need to listen to the unspoken words of the creatures of the earth and represent them in a sustainable way. Although it is a small step, SARAYA is making efforts to protect the environment by working with its suppliers and customers." Wir bitten um Verständnis, dass das Porträt von Saraya nur in englischer Sprache vorliegt! 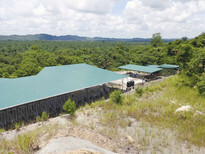 Borneo Elephant Sanctuary near Kinabatangan River in Borneo, Photo: Borneo Conservation Trust Japan. As SARAYA’s main business centers on health and hygiene, which includes a variety of hand soaps and detergents made from palm oil, it considers itself to be directly connected to the environmental burdon that palm plantations are causing on the Borneo rainforest. While palm oil based detergents and soaps are biodegradable, irresponsible palm planting without any consideration for the local wildlife destroys natural habitats in Borneo. In response, SARAYA supports and gives back to Borneo by helping to establish the Borneo Conservation Trust (BCT) NGO in Malaysia and BCT Japan. They engage in protecting the Sabah Mega Ecological Corridor, including the Kinabatangan and Segama Rivers, and setting up the Borneo Elephant Sanctuary (BES), an elephant rescue and rehabilitation center. It also sponsors the BCT's activities that try to save threatened wildlife, such as the Borneo elephant and the orangutan. 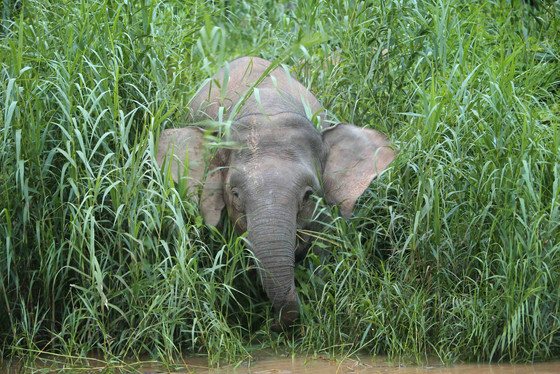 A recent highlight of the project was the construction and opening of the Borneo Elephant Sanctuary (BES) near the Kinabatangan River in Borneo. SARAYA supported through the addition of a supply water and a roof over the paddock. This is just the 1st stage. SARAYA will continue to support the BES in hopes to attract eco tourism with the goal of creating opportunities for local business in the area and spreading the word about Borneo conservation. 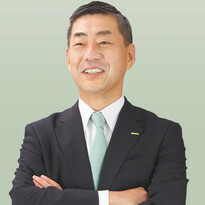 SARAYA's president, Yusuke Saraya, has been on the BCT's board of directors since 2006 and became vice chairman in 2013 and will remain on for another two-year term. In 2010 SARAYA replaced all palm oil and palm kernel oil in their products to RSPO certified sustainable oil. Despite the benefits to biodiversity by using sustainable palm oil there are drawbacks. Extra premiums for certified palm oil inevitably increase costs to the consumer, making it difficult gain the support and understanding of customers for the goals of biodiversity. Speculation in sustainable palm oil also makes it difficult to find a reasonable balance in price for both oil producers and consumers. The RSPO system for sustainable palm oil production is also prohibitive towards small, private oil producers. This itself is not sustainable because only large-scale producers actively participate. These drawbacks may cause SARAYA to reconsider their current use of certified sustainable palm oil. 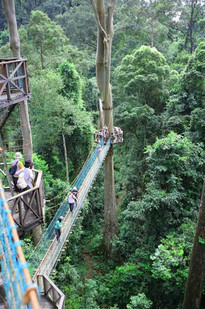 SARAYA has organized an annual Borneo Study Tour with its consumers every year since 2007. The company runs campaigns to educate the consumers so that they better understand the impact of their purchases on biodiversity. SARAYA developed a type of sophorolipid, a biosurfactant or environmentally sound cleaning agent, produced with yeast to ferment RSPO certified palm oil. Sophorolipid is used for products under the Happy Elephant and Soforo brands, which are a new type of ecologically sustainable home cleaning product. SARAYA has increased the number of products in the Happy Elephant lineup, and is expanding the use of Soforo in environmental applications such as the cleaning of solar panels and decontamination of radiation-affected areas. Soforo has been used for the decontamination of roads in Fukushima after the nuclear accident. The company is also conducting intensive research on the various applications of this surfactant towards more value added areas and products. 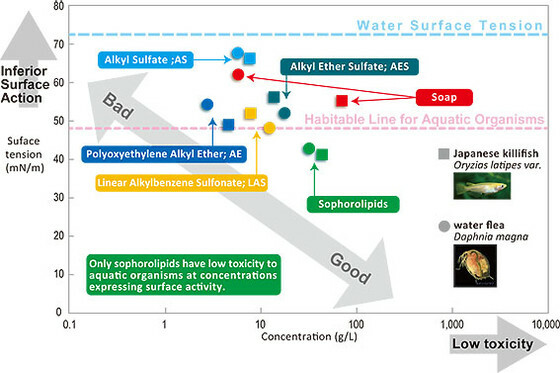 Research on the use of Soforo in environmental applications conducted by SARAYA. SARAYA believes that business can contribute towards the improvement of the world. The company incorporates these efforts through the betterment of sanitation, health, and environment. SARAYA believes that these areas are interconnected, allowing the company to help make the world a better place to live for both humans and other living things through innovation, communication and commitment. It may be a small step on the company's part, but SARAYA and other companies must make progress to ensure sustainability and biodiversity through the future. SARAYA Co., Ltd is a Japanese family-run company with about 1.200 employees globally group-wide. Since its establishment in 1952, SARAYA has focused on contributing to technology and innovation in the fields of public hygiene, food sanitation, healthcare infection control and earth-friendly goods for the consumer market. Nach dem erfolgreichen Auftakt der Veranstaltungsreihe „Diskussionsforum Ökosystemleistungen“ im Herbst geht es im neuen Jahr spannend weiter. Der zweite Kaminabend findet am 29. Januar 2015 mit dem Schwerpunkt Bioökonomie statt. Am 9. Dezember 2014 wurden die Preisträgerinnen und Preisträger des internationalen Quarry Life Award in Prag ausgezeichnet. Die Bionade Gmbh hat ihren ersten Verantwortlichkeitsbericht veröffentlicht. 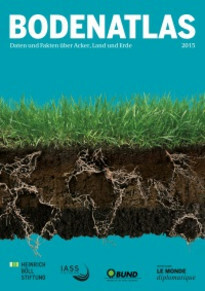 Und natürlich spielt auch das Thema Biodiversität in dem Bericht für den Zeitraum 2011 bis 2013 eine gewichtige Rolle. 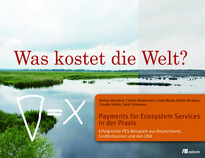 ForestFinance unterstützt die vom WWF durchgeführte Studie zur Biodiversität von Forstprojekten im Bereich des Orinocos. 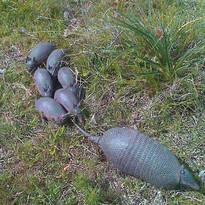 Die Finca La Paz in Kolumbien wurde als eine von vier Projektflächen ausgewählt, um das Pilotprojekt „Förderung zur Erhaltung der Artenvielfalt auf privat geführten produktiven Waldflächen sowie Viehweiden“ zu verwirklichen. Das Dialogforum bildet die zentrale öffentliche Veranstaltung des Projekts "Unternehmen Biologische Vielfalt 2020". Daten und Fakten zu Acker, Land und Boden: Das enthält der "Bodenatlas 2015", den Heinrich-Böll-Stiftung, IASS, BUND und Le Monde Diplomatique gemeinsam veröffentlicht haben. Eine neue Publikation unterzieht 19 Beispiele für PES aus Deutschland, den USA und Großbritannien einer kritischen Würdigung, ergänzt durch persönliche Interviews mit den Verantwortlichen.